A couple’s first dance together at their wedding should be a beautiful, meaningful and delightful experience. For many couples that experience is more often filled with a sense of dread and much angst. 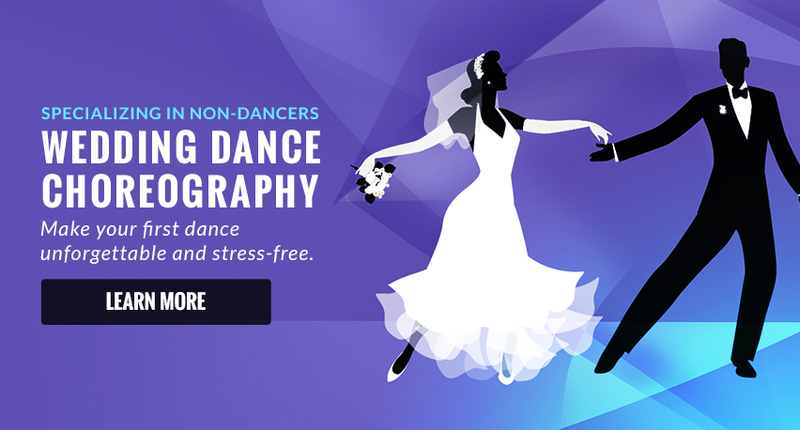 Let Soaring Dance Theatre give you the skills to make your dance moment a success. Instead of enrolling in ballroom dance classes and devoting your valuable wedding planning time into trying to master social dance techniques, why not focus on a customized dance made especially for you? Choose your special song and have a professional choreographer tailor your dance to your skill level and unique personalities and customs. Non-skilled dancers are our specialty. Your wedding dance choreography will be designed with movements that you feel comfortable with to emphasize your strengths. The wedding dance classes are an enjoyable hour long session. Your dance is mastered in as many classes as is necessary. In addition to dances for the wedding couple, choreographies can also be created for mother and son, daughter and father, and all other noteworthy couples. Make that first dance a beautiful statement and a cherished memory.